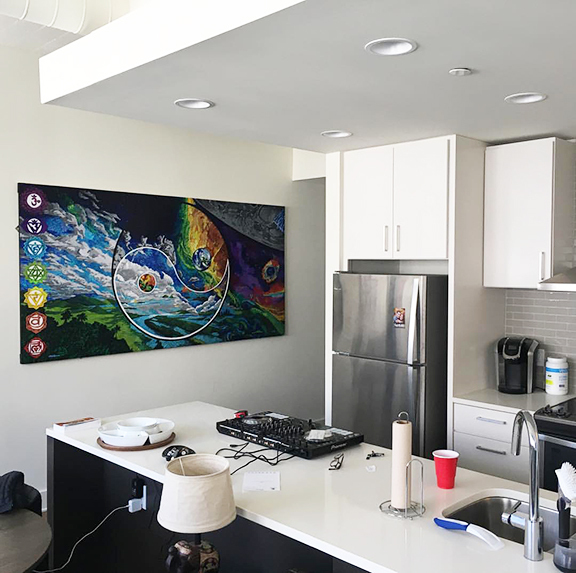 Kevin initially engaged Art x Love to create a large mural for his apartment. After further discussion it was clear that the greatest and most enduring value would come from a large scale painting. 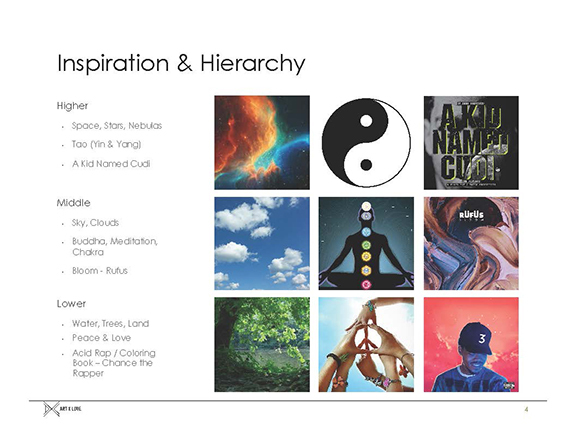 Music and yoga are driving passions for Kevin, so we worked on developing a concept with elements that would compliment his past, present, and future aspirations. 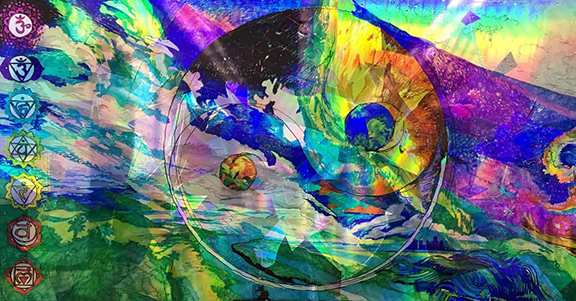 Seeking a cosmic-level impact, Kevin trusted my recommendation of a holographic painting.